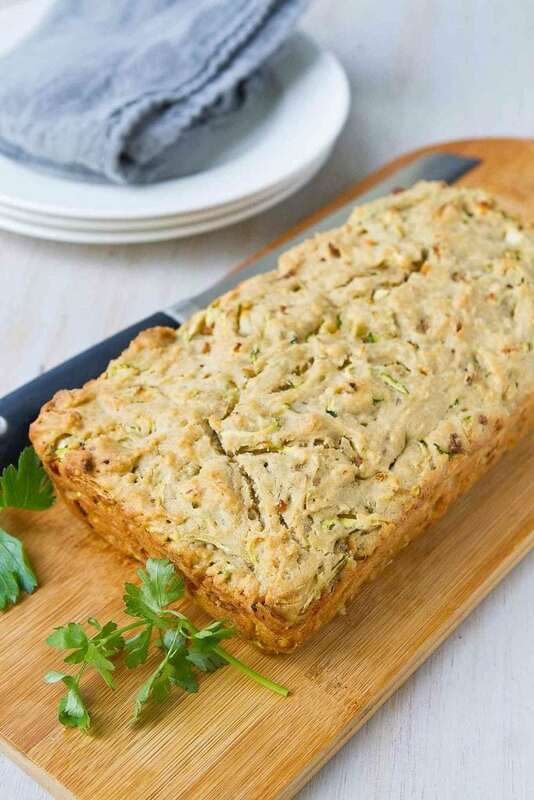 Have you ever tried an olive oil quick bread? 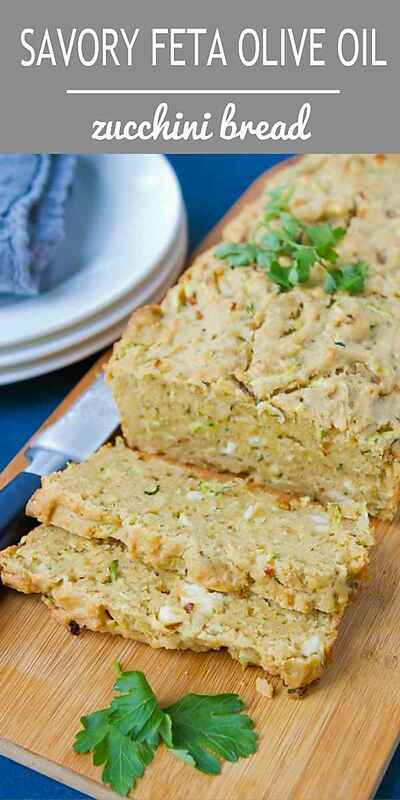 They’re fantastic as a snack bread or as a side dish at dinner time. Pack them any kind of veggie that appeals to you. My favorite combinations are mushroom and rosemary, caramelized onion and spinach and a caprese-inspired version. 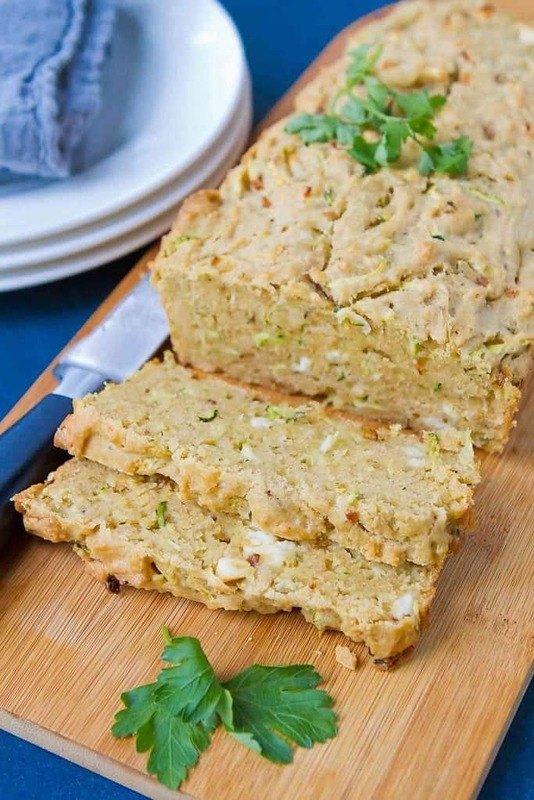 Each time I make a savory bread, like this healthy zucchini bread, my boys give it the side-eye. Then they start to nibble on and, before I know it, they’ve eaten half the loaf. We typically snack on this bread throughout the day, but it’s fantastic as a side dish for soup, stew and chili. 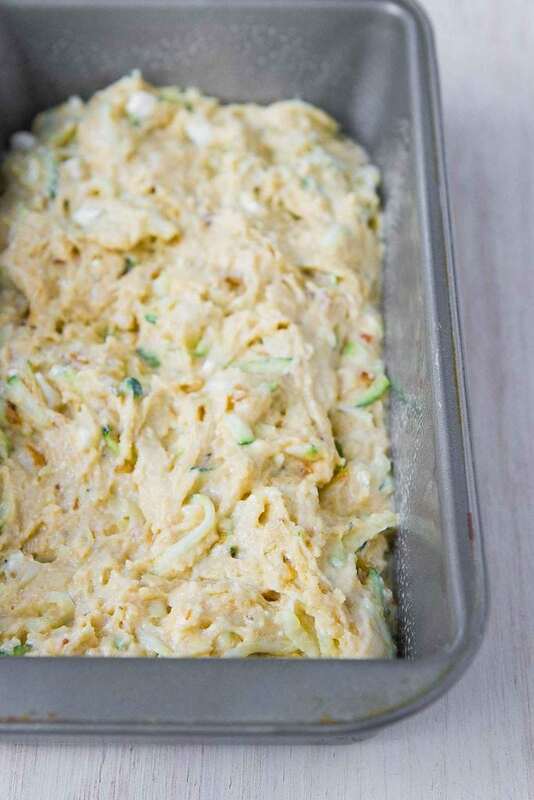 And like sweet quick breads, this zucchini bread makes a fantastic hostess gift the next time you’re heading over to a friend’s house for dinner. Start by caramelizing the shallots in olive oil. Set them aside until later. The batter has the usual suspects: flour, baking powder and salt. To boost the fiber, I use whole wheat pastry flour. I HIGHLY recommend that you use the pastry flour rather than regular whole wheat flour. The texture difference is significant. Next, beat the eggs and stir in the olive oil and milk, then add them to the flour mixture. 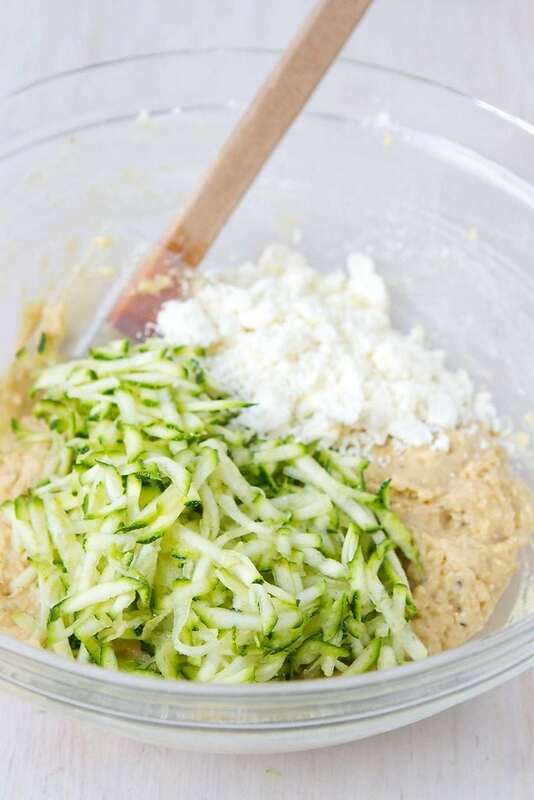 Once combined, stir in the cooked shallots, grated zucchini and feta cheese. Bake it in a loaf pan until a toothpick inserted in the center comes out clean. Let the bread cool slightly in the pan before turning upside to turn out the bread. Just slice off what you’ll be eating and store the rest in the refrigerator, wrapped in plastic wrap. Heat 1 ½ teaspoon of oil in a large nonstick skillet set over medium-high heat. Add the shallot and cook, stirring occasionally, until tender and golden brown. Set aside. In a medium-sized bowl, whisk together the flour, baking powder and salt. In a large bowl, whisk the eggs, then sir in the milk and 2/3 cup olive oil. Pour the milk mixture in to the flour mixture and stir until just combined. Stir in the cooked shallots, zucchini and feta cheese. Transfer the batter to the prepared loaf pan. Bake until a toothpick inserted in the center comes out clean, about 35 minutes. Let the bread rest in the pan for 10 minutes, then carefully turn upside down to release the bread from the pan. Cool on a rack. Cut into 16 slices, or as needed. Serve. Store any remaining bread in the refrigerator, wrapped in plastic wrap. Is there any substitution for the pastry flour?